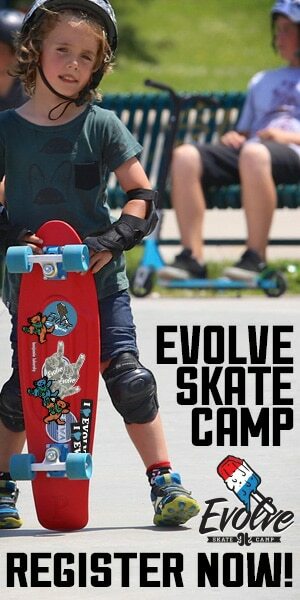 Purchasing a skateboard is not rocket science, however its key to getting the right one for your child or yourself. . Its actually pretty simple, specially if you have a beginner skateboarder joining camp or just skateboarding around your street. 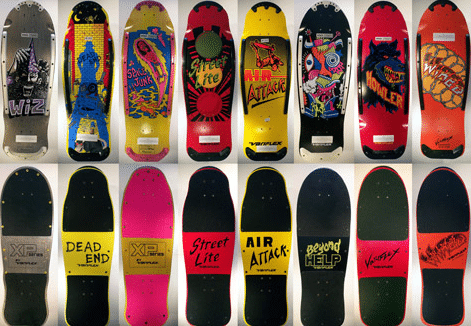 We get many calls about what type of skateboard to buy, what size, what wheels, what grip tape etc. Below is a simple guide for you to follow before choosing a skateboard from your local skate shop or from our online store. Below is a great guide to follow or considering when purchasing a skateboard. Since skateboarding was introduced in the late 40’s/50’s skateboarding shapes have come in and out of popularity. At one point skateboards one shape and thats it. In 2017 you can purchase all types of shapes and sizes which are great for various styles of skateboarding. Some skateboarders like to cruise, some like to skateboard vert and some like street or park. Remember that we are always here to help you in choosing the right board. But we know that not everyone can come by our shop or simply order online. This will help you when you are alone. You have never skateboarded before or you simply have skateboarded a few times on a board that was donated to you by someone else. You are committed to learning and feel that purchasing a skateboard is the right way to go. Recommendation: Start with an affordable complete skateboard, cruiser or longboard. 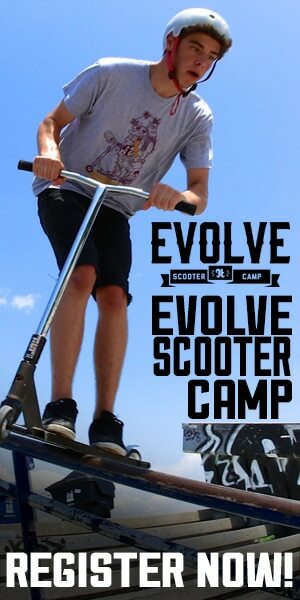 For camp kids cant bring longboards or cruisers. You’re comfortable on your skateboard by now and have begun to work on more technical moves. You are are feeling good when dropping in on a ramp or learning how to ollie. Recommendation: Purchase a board that fits you well. There are different widths. Probably a good idea to get a good light pair of trucks with good wheels and bearings. If you’re an expert skater, you know what you like and what you need. Check out our boards here. Skateboarders are usually divided into the type of skateboarding they do. Skateboards, wheels and trucks are often designed for use on certain surfaces and for different types of tricks. Below is a list of styles that are common. Vert skaters (also commonly called Pool and Bowl skaters) ride ramps and other vertical structures, catching air and performing grabs and spin tricks. This type of rider looks to find a skate park with a variety transition features, empty pools (uncommon but awesome) or they DIY ramps themselves. Vert tricks are about big air, high speed, and sick style. Transition skaters usually prefer a wider skateboard deck size to feel stable at higher speeds. It’s much easier to find a street skating venue than a vert ramp – just look around, get creative and skate everything! Street style utilizes almost every aspect of the urban landscape, including curbs, handrails, benches, stairs, fire hydrants, dumpsters…like we said, get creative. These features are sometimes replicated in skate parks, offering riders a chance to grind to their heart’s delight without damaging anyone’s property. Most street tricks, such as nosegrinds, 50-50s and kickflips, are technical and precise, requiring a lot of practice and patience to learn. Most people will fall into this category. You’re an all-around skater if you enjoy the adrenaline rush of throwing a huge trick off a buddy’s backyard ramp, but just can’t sleep until you’ve nailed that half-cab kickflip you’ve been wrestling with all week. Essentially, you skate transition and street – whatever you can find. All-around riders enjoy the feel and challenge of living life on a skateboard and any terrain is fair game. They also enjoy the freedom of riding whatever style of board they choose. 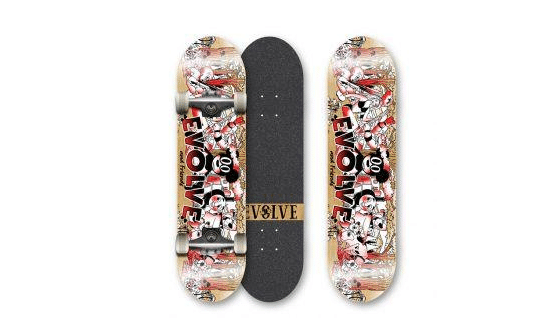 Your size is going to be part of all skating purchase decisions. Regardless of the type of board – long or short – there are certain features that are tuned to address the weight you’ll be putting on it. The width, length and shape of every board is designed to meet the needs of a certain category of rider, body size included, so be aware of the manufacturer’s intentions when purchasing a new skateboard and get the one that suits you the best. Complete skateboards come with a gripped deck, trucks, wheels, bearings and all necessary hardware. These assembled boards range in price from around $65 to over $125, depending on the quality of the individual components. Larger longboards are a bit more expensive, running anywhere between $100 and $300 for a complete. Next Entry:Evolve Snow Camp Picture Update 2017 ~ Finally!